Fall/Spring Class Registration is currently closed! Please keep an eye out for all our summer classes and camps! Please list house number, street, city, state and zip code. Please list any health concerns, medical conditions or allergies that your child may have. I release The MAC Dance LLC, it’s instructors, independent contractors, and all other associates from liability for harm, theft, or injury that may be suffered by me and/or member of my family traveling to or from or during participation in, activities and programs sponsored by The MAC Dance LLC. I hereby acknowledge that I am voluntarily assuming full responsibility for all risks of physical injury arising out of active participation in a dance class or other dance related activities. I understand that there are NO refunds for registration fees, costume, recital fees or classes. I understand and agree to The MAC Dance LLC policies and procedures. I give The MAC Dance LLC permission to use my child’s costumes/accessories until they are no longer needed for the season. I understand that my student must have this release form signed before attending class. I give permission to The MAC Dance LLC to use pictures and or video of my child for advertising purposes in print, promotional videos and on the website. Tuition is to be paid by the 7th of the month or a $10 late fee will be added, this fee increases to $15 after two weeks. If a payment is 30 days overdue then a fee totaling $25 will be applied to the account. If a payment is not received in a period of 4 months then the account must be handed over to a collection agency. I understand that I will be charged a convenience fee for all my credit card/debit card transactions at MAC Dance. This fee will apply each time I used my credit or debit card. Fall/Spring Registration is currently CLOSED! Keep an eye out for our summer classes and camps! The education that we give will be of the highest quality, we provide a safe atmosphere filled with love and encouragement. Classes for our Fall/Spring Season begin on Monday, September 10th! See times available and monthly fees under each class description. This 30-minute class is for Mommy or Daddy and their little dancer ages 18 months to 3 years old. Music, movement, balance and the basic dance steps are introduced in a fun, friendly and positive manner. This type of class includes mom or dad, or another loved one participating in the class along with the little dancer. This is a perfect class for children not ready to attend class independently of mom or dad. Our teachers will keep the music and curriculum moving along while parents take an active role in encouraging, supporting and keeping the little dancer on track. This 45 minute class for 3 to 5 year olds is designed to be a fun, first-time exposure to dance. Dancers will be taught beginning ballet steps and terminology also learning motor skills such as hopping, jumping, skipping etc. Singing and creative movement activities are presented to encourage personality development. Strength, flexibility and balance are emphasized in each fun filled class. This 60 minute class is designed for 5 - 9 year old’s and is our next progressive level after our “creative dance” class. It is an introductory class for our intermediate and technique classes. Dancers will learn beginning ballet steps and terminology incorporating individual dance steps into combinations and work on coordination skills. Beginning tap steps will be taught while teaching counts and recognizing different rhythms. Singing and creative movement are still incorporated to encourage dancers to express and develop their feelings and emotions through their own creative movement. This 60 minute class consists of ballet, tap and jazz technique training. During ballet students will learn proper body alignment and technique while building muscle tone and strength. Tap is designed to teach coordination and rhythm skills, intricate and complex rhythm skills and patterns are explored during this portion. 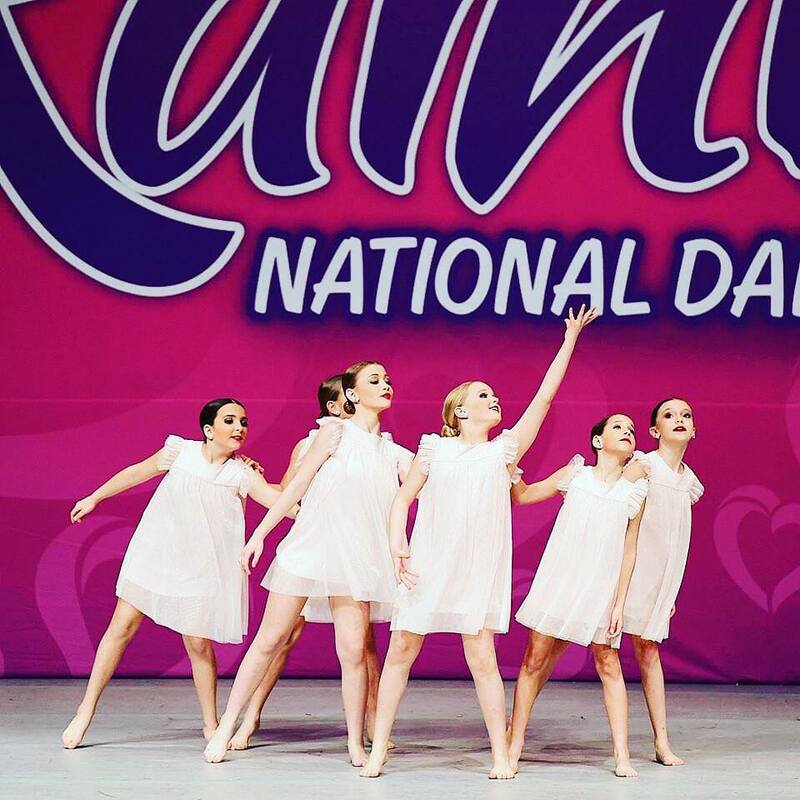 Finishing with everyone’s favorite…Jazz, consisting of strong, sharp placed movements executed to the latest popular music. This 45 minutes class is structured to assist dancers’ journey to being on pointe. If your dancer is ready for the next stage they will perform this class in pointe shoes via the teacher’s recommendations and expertise. The curriculum allows teachers ample time to help students build the strength and alignment necessary for pointe work. Fun! Fun! Fun! This energetic fast paced class will leave you eager for more! Learn the latest techniques and styles to the music you love to listen to! A great cross training class that will get you sweating and moving! We will be selecting a charity each month to donate to. All the monies raised that particular month will directly to the charity of choice. Tap, tap and more tap! For dancers ages 9 and up (can be approved by teacher if younger). Various tap techniques and rhythms will be taught in this class. Tap is designed to teach coordination and rhythm skills, intricate and complex rhythm skills and patterns will be explored! Learn the style that is taking the nation! Contemporary movement and focus for dancers ages 10 and up. In this class will not only teach contemporary techniques and flexibility but also improv work. Various progressions and combinations will be done in class. The Movement Arts Center (MAC DANCE) provides a 20% discount off your 2nd child’s tuition and a 50% discount off the third family member. Our individual cap is $280.00. M.A.C. Mini Technique: These classes challenge our younger students with fun choreography, focusing on performance, technique and flexibility. Numerous styles and technical work will be addressed. Class will include Ballet, Jazz and Tap skill sets. M.A.C. Ballet 1-4: For the advanced dancer this is the foundation for all dance training. Dancers will learn and progress through barre work, combinations and progression work. Emphasis will be placed on body alignment and proper technique. M.A.C. Jazz & Tap Technique 1-4: These classes challenge students with fast paced choreography with focus on performance, technique and flexibility. Numerous styles and technical work will be addressed. M.A.C. Combo 2-4: These classes will dive into to the many genres and forms of dance through various combinations (combos) and improv work. M.A.C. Tumbling 1-4: These classes are designed to work at each dancers own tumbling level while assisting the dancer in gaining strength and control that can be mirrored in the rest of their technique work. If dancer is not on Competition Line and wishes to take a technique package class each class is $55.00.